By all accounts, the inaugural Daily American Sports Achievement Awards Banquet was a huge success. 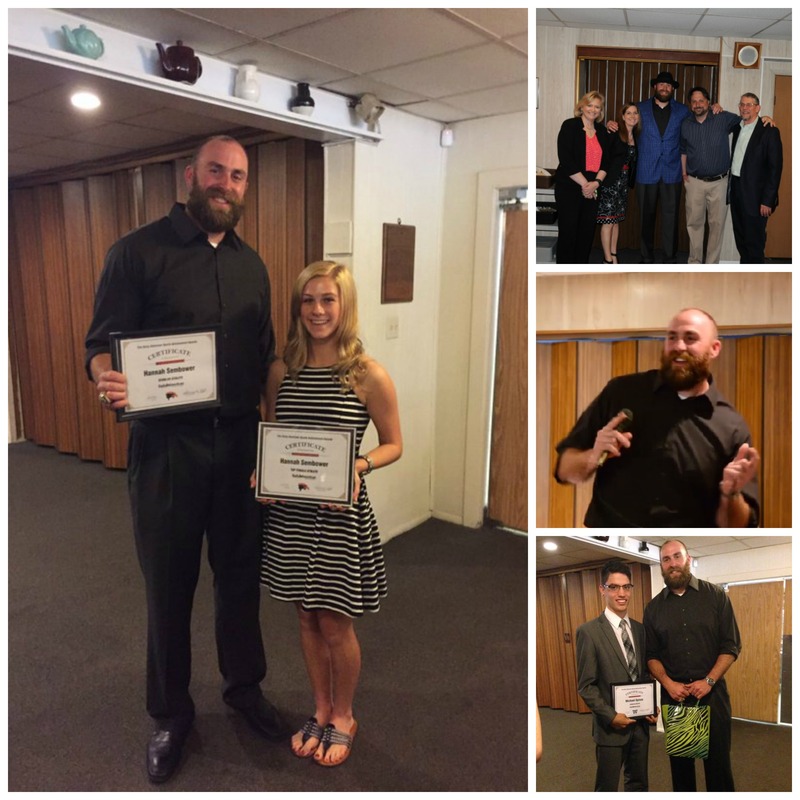 Nearly 200 people attended the luncheon Tuesday at Oakhurst Tea Room to celebrate local student-athletes and hear keynote speaker, former Pittsburgh Steeler Brett Keisel, deliver an inspirational speech. The event was organized and sponsored by the Daily American, along with Somerset Trust Company and Penn Highlands Community College. Awards were presented to one male and one female scholar athlete chosen by each school in the county and the top male athlete, top female athlete, top coach and top team, which were nominated and voted upon by Daily American readers. 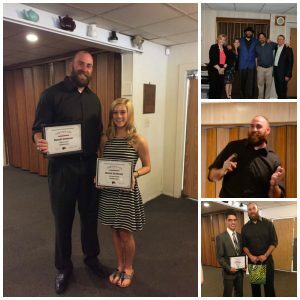 Keisel, a 13-year NFL veteran and two-time Super Bowl champion, talked about his time with the Steelers and growing up in a small town in Wyoming, much like the small communities that make up Somerset County. Keisel emphasized the importance of playing multiple sports while in school despite a time where specialization is becoming more and more popular. 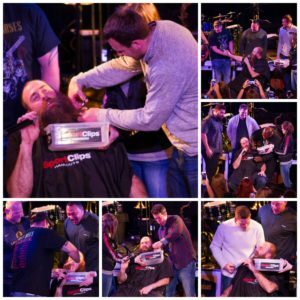 Keisel passed around one of his Super Bowl rings for the student-athletes to see. “DO NOT LOSE THIS!,” Keisel joked as he gave the ring to the young men and women, who marveled at his prized possession. Keisel, who spoke for about 20 minutes, also posed for photos and helped hand out awards. 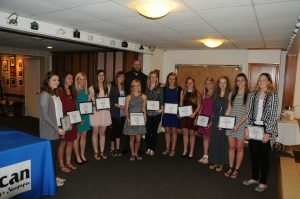 Hannah Sembower, a soccer standout at Somerset Area High School, was named the top female athlete. She beat out Courtney Schrock of North Star and Beth Felix of Johnstown Christian School in the voting. Berlin’s Braden Fochtman, one of the region’s top running backs and a state placewinner in wrestling, earned the top male athlete award. He prevailed in the voting ahead of Somerset’s Dylan Barnes and Jacob Heiple. Berlin head football coach Doug Paul was voted the top coach ahead of Somerset boys soccer coach Mark Wassilchalk and North Star girls basketball coach Randy Schrock. 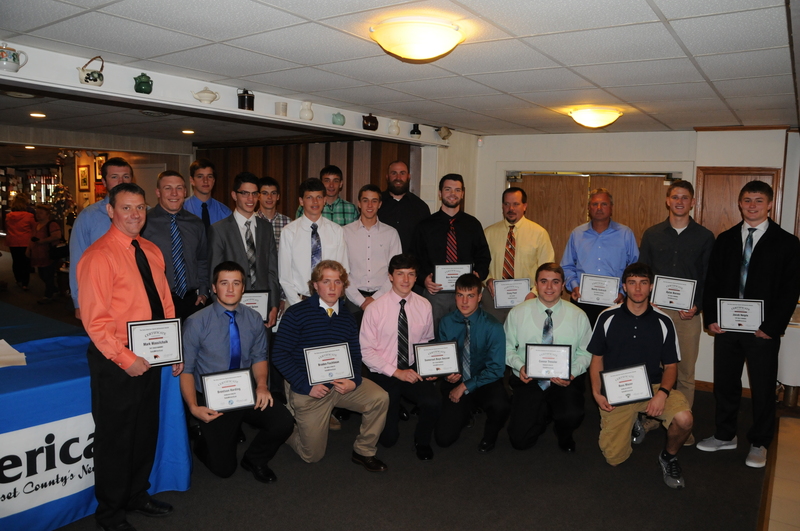 The Berlin football team also garnered the top team award. 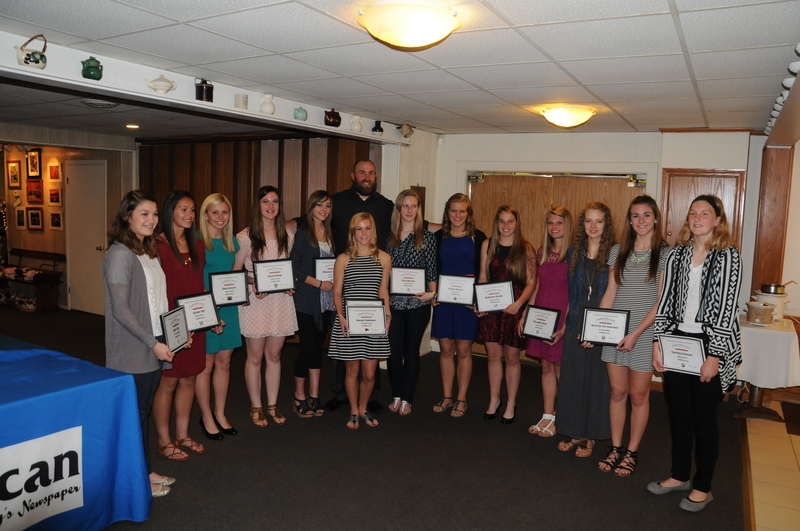 The other nominees were the Somerset boys soccer team and the North Star girls basketball team. Berlin: Alexandra Davis and Brentson Harding; Conemaugh Township: Abigail Roberts and Michael Roman; Meyersdale: Katharine Bolden and Ben Helinski; North Star: Dillion Charlton and Courtney Schrock; Rockwood: Emily Barchey and Tyler Scott Bontrager; Salisbury: Ross Mazer and Brynne Kemp; Shade: Aaron Fyock and Emma Spinelli; Shanksville: Baily Blackburn and Sarah Dining; Somerset: Mike Ream and Hannah Sembower; Turkeyfoot: Connor Tressler and Makenzie Wheatley; Windber: Michael Spinos and Autumn Toki. Listen to part of Brett’s speech. Congratulations to all the scholar-athletes! Thank you to Daily American!